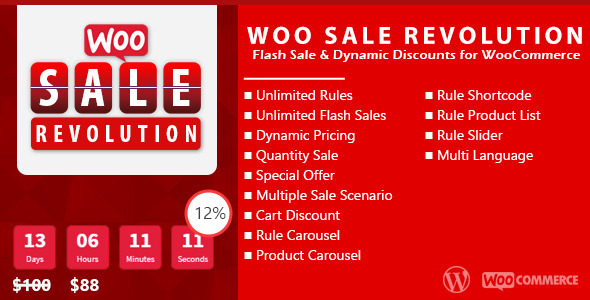 Woo Sale Revolution is an All in One sale plugin which you can run different types of sale for your WooCommerce site. You can create unlimited rules with different scenario, deactive/active for current sale, add products to rule individually or base on categories or tags with exclude option, access to separate list of products for each rule and many other features. Also there are shortcodes and a dedicated widget which you can create some unique features for example display list of rules and then when a visitor click on them the product list will be display or horizontal/vertical products carousel based on rule. Run a flash sale with countdown timer: 20% discount from 25th of Dec till 10th of Jan. 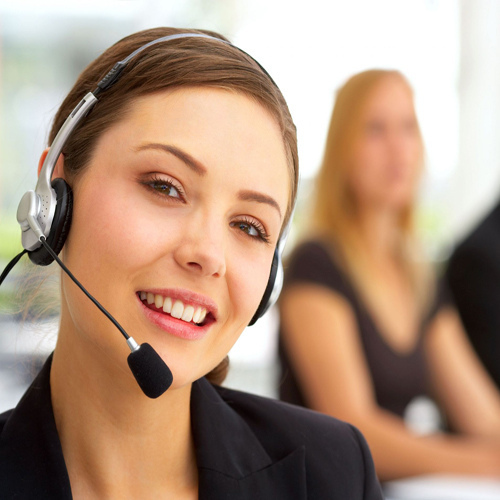 Quantity Discounts: different discount rate based on number of products. Added : Timezone For Count Down. Added : Translator Days / Hours / Minutes / Seconds in setting. Fixed : Fix some shortcodes. Fixed : apply countdown color in archive and single products. Fixed : compatible woocommerce 3.0.x. Fixed : change structure function best performance.